Today was a big day at the Supreme Court, which has just issued its ruling on Obamacare. For those who are interested, you can get a transcript of the court’s opinion here. Needless to say, the case has attracted a lot of attention. But I’d like to bring one issue to the fore that, to my mind, has not received enough attention. One way to think about the polarized debate regarding the Affordable Care Act is that it pits the individual against the community. Proponents of the law see it as an attempt to fix the health care system as a whole. They worry that our premiums are too high, that Medicare is on a fast track to insolvency, and that insurance companies refuse to cover pre-existing conditions. Critics, on the other hand, tend to dwell on what it will mean for individual consumers of health care. They worry about limiting individual care, that bureaucrats will get in between doctors and their patients, and that I will have to pay for my neighbor’s unhealthy lifestyle. There’s a way in which this very basic dynamic plays itself out in today’s Supreme Court decision as well. According to Roberts, congress can REGULATE the behavior of people engaged in interstate commerce, or engaged in activities that have an impact on interstate commerce, but it cannot COMPEL people to engage in commercial activities. Moreover, the refusal to purchase insurance is not a commercial activity, rather it is the absence of a commercial activity. Drawing on an analogy that has been bandied about a lot lately, Roberts concludes that Congress cannot compel people to purchase insurance just as it cannot compel people to eat broccoli, even though doing so clearly has individual and public health benefits. I found this one of the most interesting passages in the whole ruling. Is Roberts basically saying that if you think about it hard enough — if you take a philosophical perspective — a refusal to engage in commercial activity is itself a kind of commercial activity? But that the people who wrote the constitution did not think through the issue in such a thoroughgoing way, and therefore we ought not to do so either? Not quite, obviously. 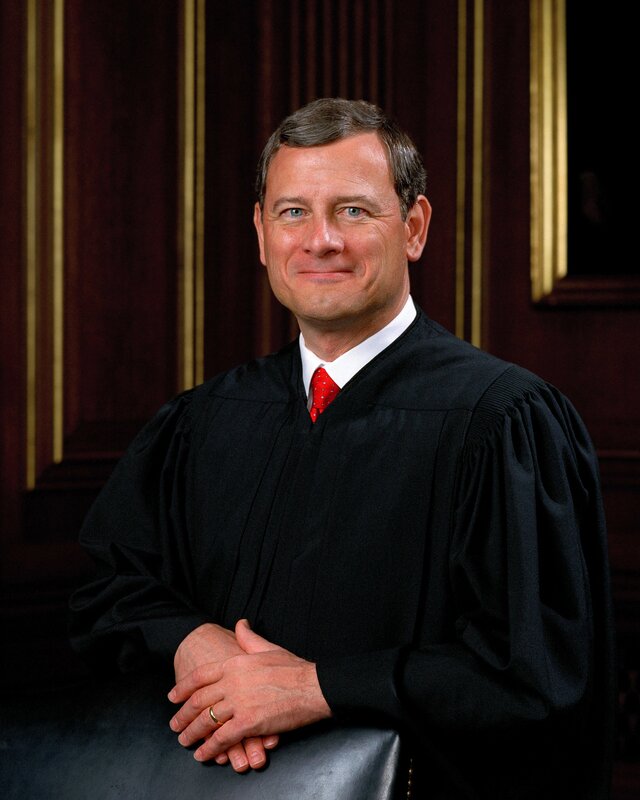 But many still feel that Roberts’ opinion is willfully obtuse. As Ruth Bader Ginsburg (joined by Sotomayor, Breyer, and Kagan) argues in her concurring dissent, the Affordable Care Act does not actually compel anyone to join the market for health care. That’s because people are already in that market, whether they like it or not. There is something very significant, I think, about the fact that Ginsburg argues in terms of percentages whereas Roberts argues about the difference between regulation and compulsion. Percentages are about aggregates — communities — whereas Roberts’ distinction is about individual freedom. If we think about commerce as behavior in which individuals can choose to engage, then Roberts’ distinction between activity and inactivity makes some sense. There really is a difference between regulating someone’s commercial activities and compelling them to engage in commerce. But if we think about the issue at a higher level — that of the community, or of an entire economy — the distinction looses most of its traction. Roberts is no fool, and he recognized this point. I think that’s what he meant when he admitted that “To an economist, perhaps, there is no difference between activity and inactivity; both have measurable economic effects on commerce.” Which is why I found his statement about the framers being “practical men” rather than “philosophers” so amazing! This entry was posted in Affordable Care Act, John G. Robers, Lukas, Obamacare, SCOTUS on June 28, 2012 by americanscience. This seems right, Lukas. Is there more work to be done to make this clear to citizens, and/or to convince them that this is a good way to view things? Should we try to abandon the distinction between activity and inactivity in favor of a communitarian angle of vision, in your view, and (if so) is there a way to run a PR campaign to that effect? American politics (or American culture) seems inhospitable to language of community, favoring language of individuality (remember the lampooning of “community organizers”?? ), and this might explain both the way Obama pitched the project and the way it “succeeded” (as a tax, not a commercial mandate). In addition to your analysis here, do you see this as true of culture more generally, and, either way, do you personally think we should change it? Well, Obama certainly did not want to pitch it as a tax! But, yes, I think you are right that neither did his administration play up the notion that a community has a responsibility to provide healthcare to all of its members. Rather, the spin seems to be: look at all the good that Obamacare has done for me! I actually don't think that it is better to think in terms of aggregates, populations, or communities rather than individuals. Neither, though, do I think that individuals should be privileged over the collective. The point is just that there are differing levels of analysis, and that the level at which you parse an issue can shape your intuitions (normative and otherwise) about that issue in very profound ways. I think it's interesting that legal discussions, at least in the United States, tend to be couched in the language of individuals. (E.g. the prevalence of talk about rights and interests in the American legal framework.) This does seem to make it more difficult to legislate matters of public health, biology, and economics, which tend to play out at the level of populations instead. Sometimes — as in the case of eugenics — this is a good thing! But other times, it cam make progress more difficult to achieve. Thanks for this post, Lukas. I read the ruling quickly when it came out, but I missed Roberts' reluctance to philosophize. I have to admit that I have long thought the tax argument was the best one. I can understand why the Obama administration (or ANY administration) would be shy of it, but it is the most straight-forward. It is also MORE communitarian. Taxes, by definition, are a means to gather individual resources for public use. The mandate strikes me as more liberal and individualistic in framing—it's about insuring yourself, not others.